2012 Cycle – Reinforcing its belief in “people building the next era”, the Government of Japan offers 20 fellowships per year, for the twelfth consecutive year, to be awarded to deserving candidates from developing countries, especially the least developed countries (LDCs), who are eager to undertake research on one or more of the topics listed below. The aim of the fellowships is to support innovative and imaginative post-graduate research in four areas of development of particular interest to UNESCO. UNESCO designed the project “UNESCO/Keizo Obuchi Research Fellowships Programme” (UNESCO/Japan Young Researchers’ Fellowship Programme) in the framework of the Japanese Funds-in-Trust for the Capacity-Building of Human Resources which was established in November 2000 by the Government of Japan to enable UNESCO to give impetus to research in four areas under UNESCO’s Priority Programme Areas. The UNESCO/Keizo Obuchi Research Fellowships Programme (UNESCO/Japan Young Researchers’ Fellowship Programme) funded under the Japanese Funds-in-Trust for the capacity-building of Human Resources will aim, in particular, to impact on capacity-building and research activities in the following areas: Environment (with particular attention to Water Sciences); Intercultural Dialogue; Information and Communication Technologies; and Peaceful conflict resolution. No other research topics will be considered. 1. Candidates under this Programme must be post-graduate researchers, already holding either an M.A. or M.Sc. degree (or equivalent) and wishing to pursue research work abroad (preferably in their own region) with a view to enhancing knowledge in one of the four specific fields mentioned in paragraph D.1 below. Thus, those who are in the process of completing their Master’s degree must have completed it PRIOR to taking up their Fellowship. 3. Candidates must be no more than 40 years of age. Thus, applicants born before 1 January 1972 will not be considered under the Programme. 6. Candidates must be proficient in reading and writing the language of instruction in the proposed country of study/research. 7. Applicants must be in good health (both physically and mentally). All applications must be submitted with the required documentation on the UNESCO Fellowship Application Form. Each Member State may nominate a maximum of two (2) candidates. It is the National Commission’s responsibility to select the two candidates whose applications it wishes to submit to UNESCO. 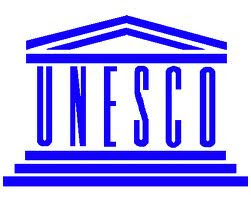 The application(s) should reach the Section of Participation Programme and Fellowships, UNESCO, 7, Place de Fontenoy 75352 Paris 07 SP before 13 January 2012 midnight and an advance copy may be sent by fax to: 33.1.45.68.55.03. (v) The certificate of language proficiency (on the UNESCO form) duly completed in duplicate for the language of the country of study (should this be different from the candidate’s mother tongue) issued by an official authority. • Why? The concrete nature of the proposed project’s contribution to the fields listed in paragraph D.1 above; its innovative, original aspects; and the scope and purpose of the research project. The candidate should demonstrate the reasons the theoretical and practical knowledge or training acquired at the host institution would be beneficial to her/his on-going research project. • What? The expected results or impact of the research project being undertaken. • How? Describe the proposed arrangements for conducting the research. • Where? The proposed country where research will be undertaken (one to two countries maximum) and the name and address of the host institute. • When? The timeframe explicitly stating the proposed starting date and the suggested duration of research which should be of three months minimum and nine months maximum. • How much? A detailed budget estimate indicating the resources required for the candidate to undertake the proposed research. The amount should be determined according to the proposed duration and place of research (between US$6,000 to US$10,000). The amount should not exceed US$10,000. All figures must be shown in US dollars and must be included on a separate page. The amount indicated should cover, exclusively, the international or domestic travel costs for the approved itinerary and personal subsistence abroad, etc. (The object of this Programme is to provide research fellowships so it is considered that in most cases tuition fees will not apply). Applicants should be realistic in compiling their proposed budgets, and consider that an average of US$1,000/US$1,800 per month for accommodation and meals (including local transportation and incidentals) should not be exceeded. Applications where funds requested are judged to be excessive in relation to the objectives and importance of the project are likely to be considered for a smaller grant. • A maximum amount between US$6,000 to US$10,000 will be awarded to selected candidates. The amount, to be paid in two or three instalments, is intended to cover research costs only, and will not be negotiable. • No other costs will be considered and grants will be neither extended nor renewed. Candidates who have not been informed of their selection by 1 September 2012 should consider that their applications have not been approved in the selection process. Selected beneficiaries will be required to submit an interim and a final report describing the results of the research undertaken. Fellows will be required to send UNESCO a one-page summary with their report that will be reproduced later in a leaflet and disseminated widely by UNESCO. Demikian kami sampaikan tentang UNESCO / Keizo Obuchi Research Fellowships, Japan semoga informasi tentang UNESCO / Keizo Obuchi Research Fellowships, Japan ini bermanfaat.